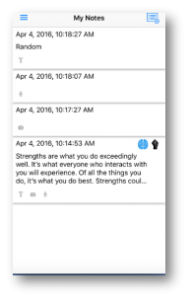 The Miijob App has been designed for all entrants to the job market. These include those who are looking to commence their careers having completed their formal education as well as more experienced entrants returning to the job market. 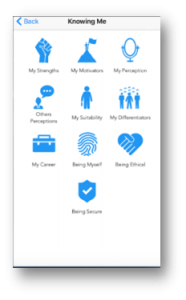 The Miijob App provides users with tools and resources to identify their strengths and choose careers and jobs that play to their strengths. It provides step by step support through the application and selection processes. 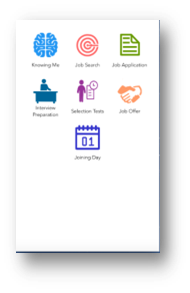 Our App provides real time advice dealing with difficult interview questions, preparation, last minute nerves, stress and many other useful and relevant topics. Share and review your recruitment experience at the employer. You are no longer a mute job applicant who can be taken for granted. 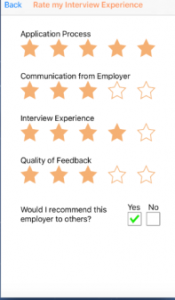 Not only will your experience help other job applicants make up their mind about the employer but it would also help the employer improve their recruitment processes. 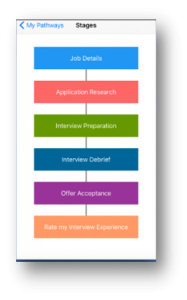 Manage different job application processes simultaneously and keep track of your preparation. Follow the structured approach and keep control of your diary.